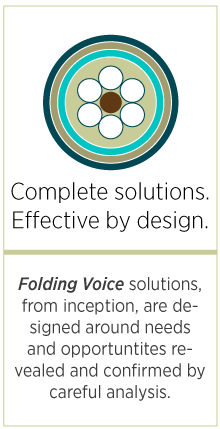 Folding Voice is there from solution inception through implementation, and beyond. 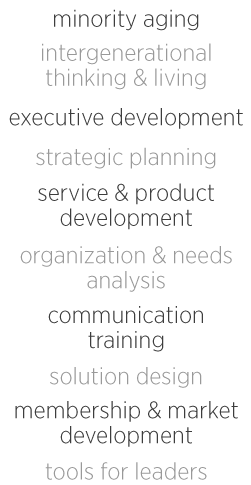 Businesses, organizations, and policy groups always face complex environments with a broad range of stakeholders. Folding Voice strategic solutions start by analyzing the situation, challenge, people and resources. 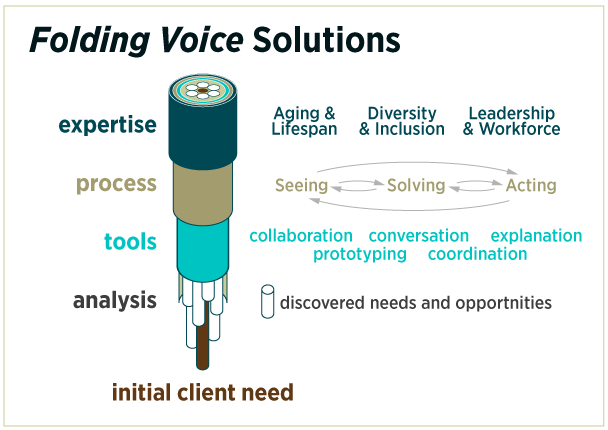 Folding Voice services vary in scale from small-team solutions to organization-wide initiatives. We make sure we solve the right problem with the right people and have a clear understanding of the available resources. From here we help our clients with matters such as developing products and services, expanding and informing their members, or achieving policy goals.